Connecting with other patients and families can be a powerful and uplifting experience. Our networks let you learn from others, share your journey, get and give support and make new friends. You have the option of connecting on a one-to-one basis or with a group. You also choose the way you prefer to interact - by phone, in person or online. Communities of Hope are a valuable source of peer-to-peer engagement, connecting patients and families with each other for compassionate support. AAMDSIF depends on the commitment, creativity, talent and energy of its volunteers. They are our local ambassadors, and we rely on their event organizing skills to support patients, family and friends in their community. Their work also contributes to the Foundation's global mission to help bone marrow failure patients wherever they may be. 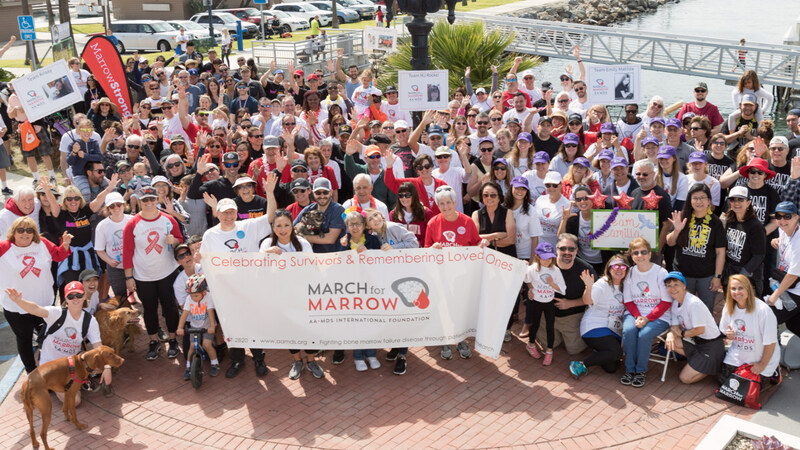 To better understand the impact of bone marrow failure, we recommend reading our illuminating human interest stories, told by the people who are living with these illnesses. Our entire community benefits from the insightful stories patients and family members share with us about their personal journeys. Originally published on Wed, 02/03/2016 - 3:23pm. Last updated on Sat, 04/30/2016 - 5:14pm.